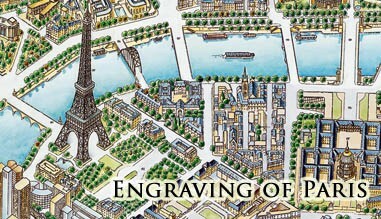 How would you like to give your friends, your clients, or even yourself, an old-style engraving of modern Paris? 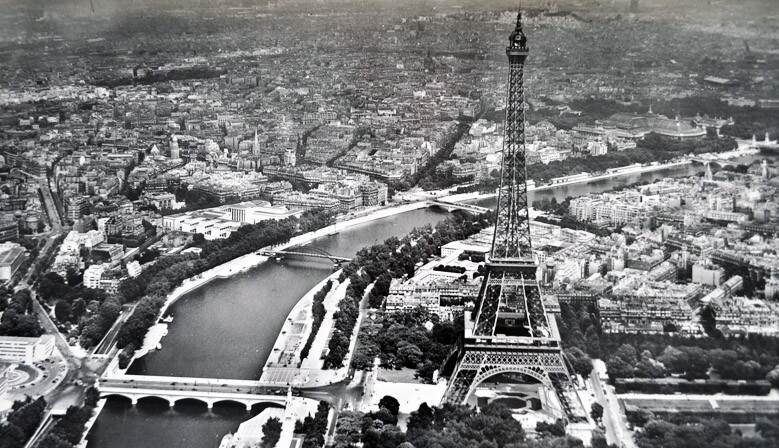 Called "Paris in Impressions", this is a one-of-a-kind creation, as no drawing on this scale has been done since 1920. 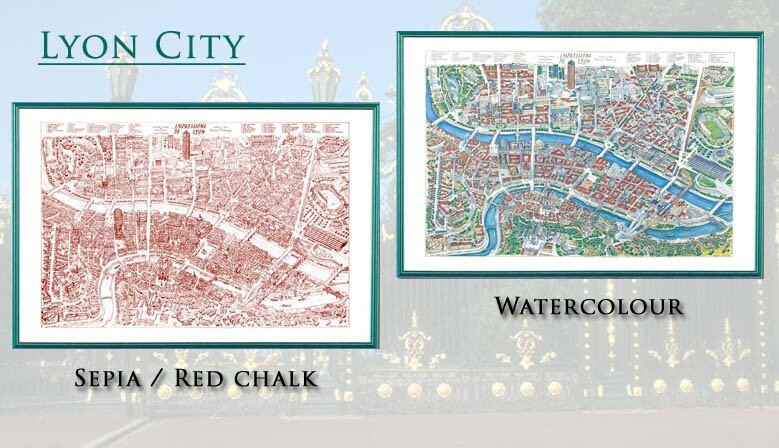 This superb artistic reproduction shows a bird's eye view of Paris, highlighting the city's 270 principal monuments. 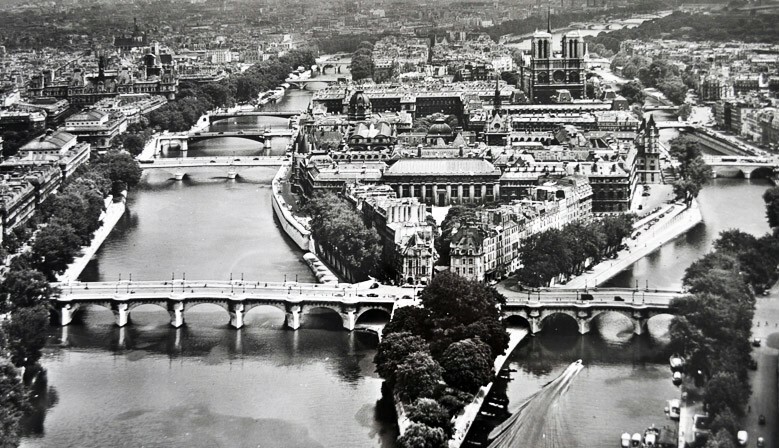 You can order "Paris in Impressions" here on this site. But first, discover in detail the fine quality of this unique work of art. Called "Impressions of Lyon", this is a one-of-a-kind creation. 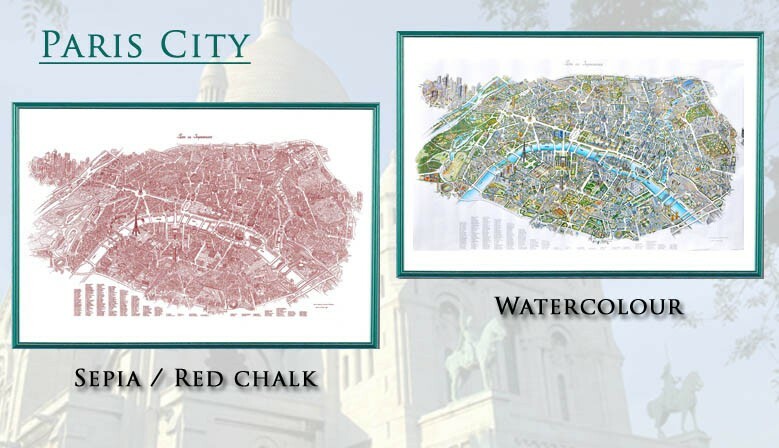 This superb artistic reproduction shows a bird's eye of Lyon, highlighting the city's 60 most important monuments. 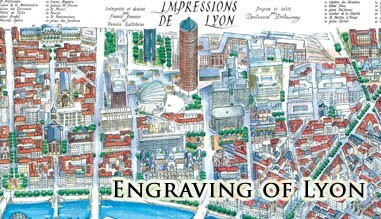 You can order "Impressions of Lyon" on this site by clicking here.